Welcome to my new 'Get The Look' blog series, where I'll be trawling across the realms of music, fashion and celebrities alike to help you guys steal their style! 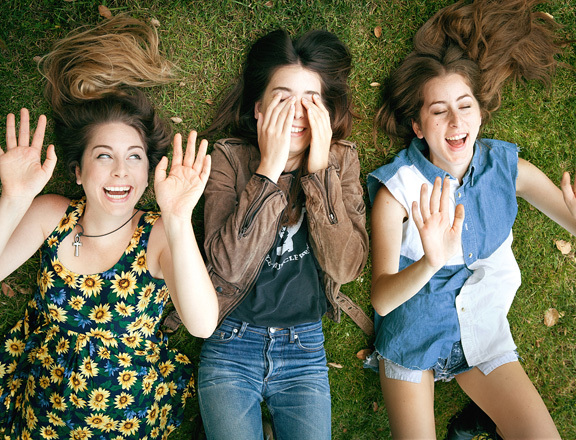 HAIM are a band that blew up in 2013; their folky-rock music mixed with their Californian bohemian style made the perfect mash-up of an all-girl trio. There was no doubt in my mind that my first GTL post was going to be on these girls as they've inspired and influenced my own style from the very first time I laid eyes on their 'Forever' video. Alana, Danielle and Este are the three coolest sisters on this planet at the mo with a coherent, yet unique style of their own. They don't try hard, they don't follow trends - they are currently setting them and they're ones to watch for both the music and fashion world! 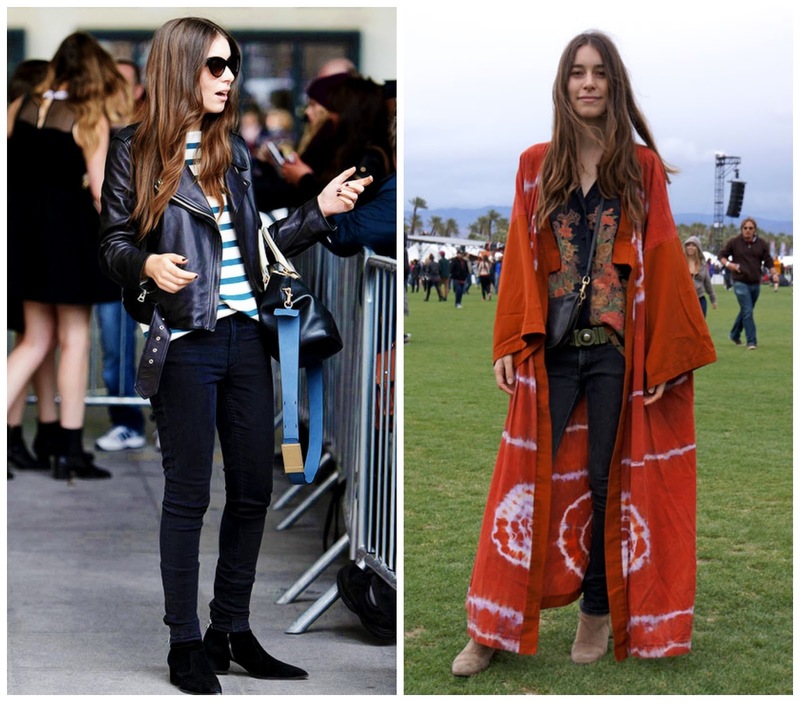 HAIM's style is easy to incorporate into your wardrobe and is right on track with the 60's and 70's-inspired gypsy-festival trends of SS14. The girls are fond of black but aren't afraid to mix up colours, textures and prints for the stage or for photoshoots. Replicating their style won't break the bank as a lot of it incorporates basic pieces you can easily snap up on the high-street. Look to charity shops or vintage shops for denim and leather and trawl the likes of eBay for Navajo-inspired accessories. 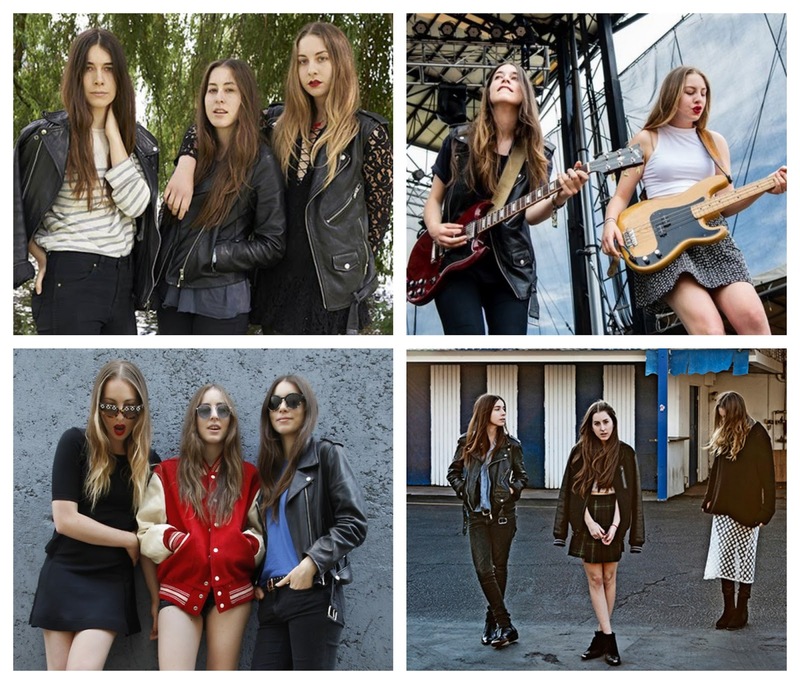 Comfort is key with HAIM so there should be a look below for everyone and anyone to take some inspiration from. 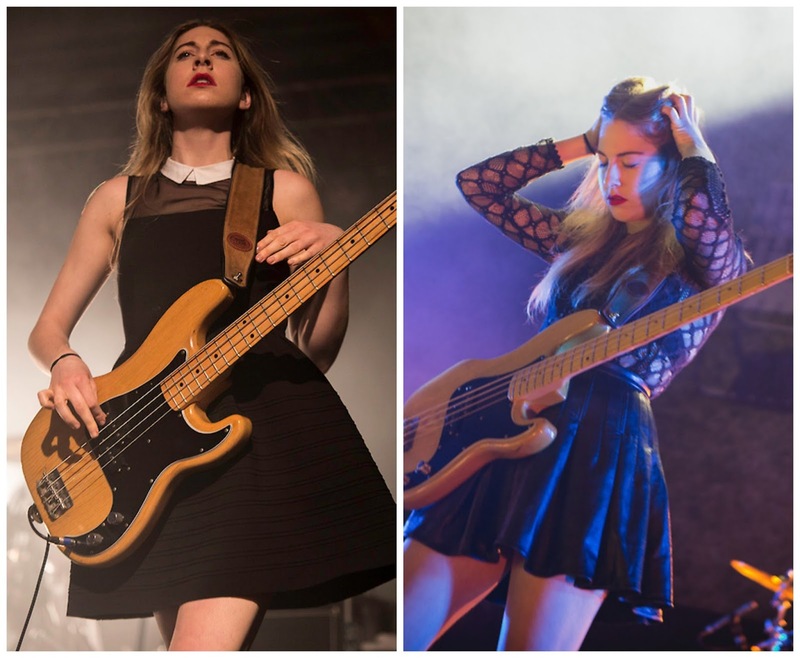 If you like all three girls' style and want to style an outfit inspired by HAIM en general your key pieces are: a leather jacket, denim shorts, an oversized loose tee (in either white or black), a printed 90's crop top and a tube of red lipstick. Split your hair in the middle, grab a guitar and you're good to go! Alana is the youngest of the group and is the perfect mix between girlie and grunge - her style is evidently 90's-influenced with torn denim and slogan t-shirts being worn by her constantly. She's known for her perfect pins so she's usually seen wearing her "lucky" Calvin Klein black denim shorts or something similar. Black boots, loose t-shirts and simple pendants are what to look out for an Alana-esque look; nothing too vibrant but keep things young and quirky. 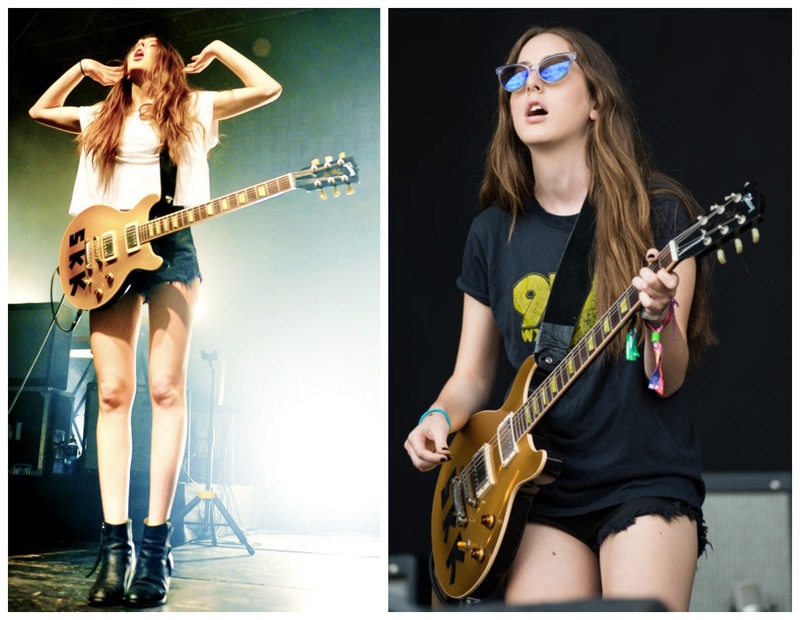 Alana said in Telegraph interview earlier last month; "I have, like, the same outfit for every show, they’re these Calvin Klein black cut-off shorts that Danielle made me. I have literally worn them to every Haim show for the last two years. It doesn’t matter how fat I get on tour, how many croissants I eat, they just always fit. And then I always just wear T-shirts. I mean, on stage we are pretty chilled. You aren’t going to see me coming out in a feather boa." Este is the oldest member of the group and has without a doubt the girliest style of all the girls. She's always seen in either a pretty tea dress or printed skater skirt, edged up with chunky boots and loose, wavy hair teamed with bright lippy. She's a perfect example of how to get the most out of a dress that you may have bought for semi-formal wear; a denim jacket, biker boots and some clever layering casualise a dress and give it that "I just threw this on" vibe instantly. Don't be afraid to have fun when looking to Este for ideas as she is ridiculously funny herself and doesn't take herself too seriously. Danielle is the tomboy of the group, nevertheless her style is the definition of minimal rock-chick chic. She is mostly seen wearing denim skinny jeans with either a leather or denim jacket - sleeveless, preferably. Danielle sometimes - yet rarely - wears outrageous colours and keeps things on the androgynous side with oversized blouses, army shirts and minimal makeup. Cowboy boots and Chelsea boots are a key feature in her wardrobe and can be worn with everything and anything. 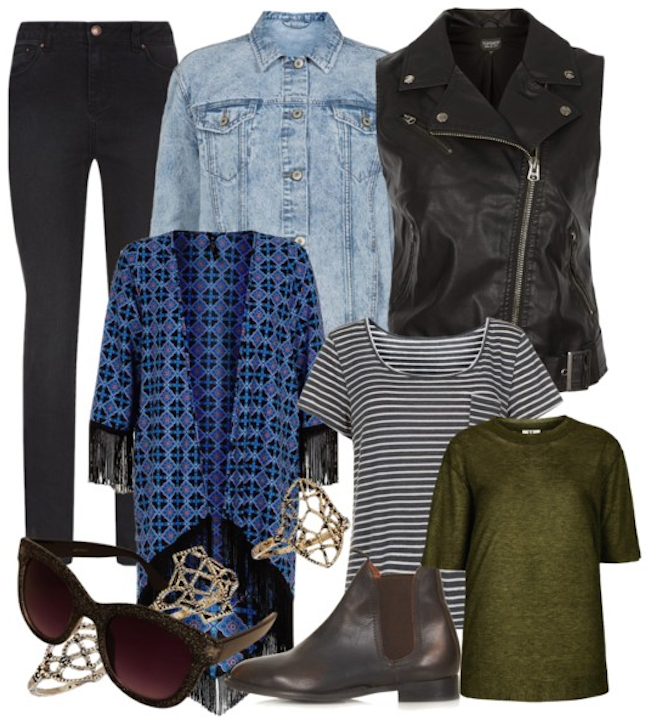 Keep an eye out for oversized jersey tops and Wayfarer-style sunnies to complete the look. One of the Danielle's style inspirations in Winona Ryder in the 90's, which is totally apparent through her clothes!